This week on Middle Theory, President Obama and his departure from the presidency is examined, during the final days of his second term. 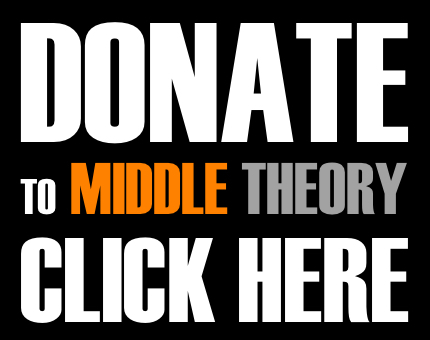 We kick things off this week on Middle Theory with a bit of holiday cheer, as well as some commentary on Christmas sweaters. More specifically, Samantha Bee and Glenn Beck donned their tackiest Christmas pullovers to sit down and have a chat about community, cooperation, and catastrophism across party lines in the face of “Trumpism”. We also take a look at how Trump has apparently threatened to upend US nuclear weapons policy, which seems to contrast strangely with Trump releasing a letter from Putin asking to ‘restore’ US-Russia relationship. 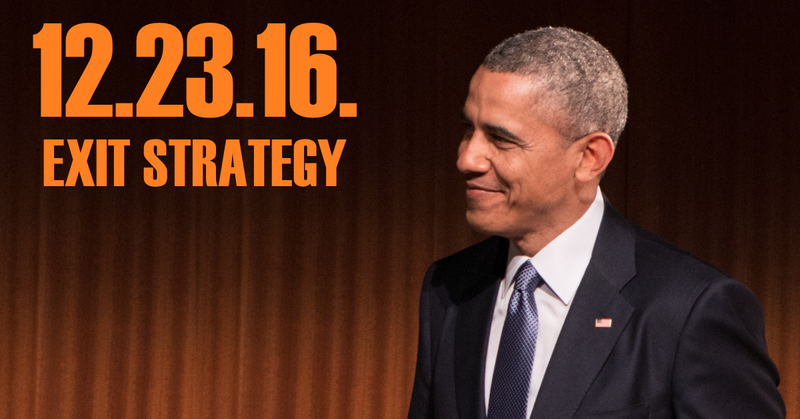 Then in the second part of the show, we examine President Obama’s “exit strategy”, in terms of how his final days in audience will likely reflect on or influence world affairs. Key to this are how Obama sees the strength and unity of the Democratic party, as well as how Obama could influence the international climate during his final days in office, in keeping with ongoing controversies about Russian influence during the recent U.S. election. This entry was posted in Podcasts and tagged Barack Obama, current events, fake news, Glenn Beck, politics, Samantha Bee, Vladimir Putin by Micah Hanks. Bookmark the permalink. So, the anti freedom of speech “fake news” bill has been pushed through with the NDAA after stalling in congress by itself multiple times, just like they do every year with the things the people do not want, but they do. And as far as I am aware, by doing this, President Trump (if he/his-party even wanted to) can not undo it – at least for a year?. We all need to be defended, right?!?!?!? Including words like “state and non-state propaganda” (take special note of the non-state part – this is you). Welcome to the new world, where to question mein fuhrer, and their *obvious* lies, is to be “fake news” and you are now an enemy of the state, or a terrorist. Was this pushed through early because of a loss of establishment, and maybe because of pizza gate? There is no direct evidence for pizza gate (although if you read the actual emails in question, it is obvious that pizza is code for something – something which the words around it don’t fit many other scenarios), but I do wonder, based on the timing of the “fake news” discussion..
Just maybe, this is to cover up the biggest *cough* secret in american politics – that power corrupts. Oh wait… It’s not that big of a secret, its just forgotten/ignored when it comes to some powerful people. Anyway, enjoy the ministry of truth, my friends. Dear Unique you asked on here advise I thought long and hard before I gave any as I hate telling people how they should do things because my way might be wrong for them. but what I can offer you as a person who has had film school training and worked on film productions that our culture defines itself through the media (music, books, TV, computers). This is indicative of a culture industry. If you watch foreign film you will notice their movies are examinations of the culture. America doesn’t examine ! @#$ we identify. We see a guy with a @#$%ty hair do and instead of going why does this guy have this @#$% hair we go I got to have my hair like that. Our media isn’t a place of truth. People who really want truth especially in a democracy, that is a world of white lies and pander to gain mass sympathy by being a fake and lying and playing parts; do not look for it in media look for it in real experiences. If you want to know about masons befriend one. If you want to know what Satanists do ask one they have email. If you need to know as I do you will never find solace in peoples reiterations you will need to experience it for your self. Our culture teaches exactly how the church indoctrinated. They discourage and demonize experience in exchange for belief and faith in their clergy the astute and the prestigious. I have not found one philosopher who considered reading a way to learn or gain experience. Thinking a reference tool is a valid learning tool this is the product of long line manipulation and idiots doomed to practice out dated traditions. They pretend giving you bias, white lies, and prejudice opinion is justified because they are teaching you. They know you are not learning you are being indoctrinated not only into their belief system but into a pattern of dependence and unquestioning. Resulting in people who can’t think. As your attorney I advise you to experience as much as you can. F books, F TV and the computer go there experience it for your self please. Nobody not even an expert can tell you if a media is true or not. Even my professors couldn’t see past their indoctrination believing that in media two types exist realism and surrealism. How anybody schooled in film and how easy it is manipulated can say their is or can be any realism that can ever come from a conscious filming effort is a testament to how our system teaches people to be idiots. I can not agree that realism exists in any media it is all surreal and idealistic. Just like people who say they only read non fiction books. Well let me tell you about non fiction history and liberty with the truth to defend face and hold interest, when a fiction book can just give it raw since the characters are perceived as separate from the writers own behaviors he has no need to bend their truths or defend some “idealitry”.